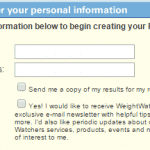 You are here: Home / Weight Watchers / What is the Weight Watchers New Fitness Approach Program? 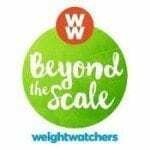 The Fitness Approach feature is a new part of the Weight Watchers “Beyond the Scale” program for participants to look forward to. This is a part of the program that helps people to lose weight in a unique manner. It assists people in getting more out of their bodies and helps them to stay active and in control of their bodies so they will have an easier time with losing weight as needed. How do I Begin My Personalized Assessment? The Fitness Approach begins with creating a unique Personalized Assessment based on your Age, Gender, Height and Weight. In addition, you will be asked to answer questions about your current lifestyle including how much you eat, how often you eat, what you eat and what your typical workouts are. The goals that are incorporated in this approach will vary based on the person’s weight loss needs and how well that person is going in terms of getting certain actions done the right way. These goals include many that focus heavily on moving and staying physically alert. The program particularly places an emphasis on making sure the setup is kept under control without being harder to handle than needed. The goals are particularly added as a means of getting people to stay active and to encourage them to work harder to lose weight. It also helps people who need some added assistance with trying to figure out where they want to go next when trying to stay healthy and in control of their bodies. What is the Key Feature of the Fitness Approach? The FitBreak App is the most important aspect of this new approach. This is a feature that helps people learn how they can lose weight by being more active. In particular, the FitBreak application focuses more on the use of special exercise solutions that will help people to stay active and ready for anything during the day. People are provided with a number of different exercise options that can be used throughout the day and inspiration to help people keep moving. 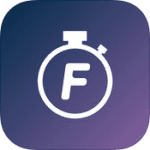 There are more than seventy different activity programs and ideas offered by the FitBreak app. Does This Work with Other Apps? The Fitness Approach setup works well with other applications that are used by Weight Watchers. It incorporates data in real time with different apps and helps people analyze what they are doing from a weight loss standpoint. This helps people keep tabs on how well they are losing weight and what they can do to keep everything off as required. What Types of Activities are Included? The ideas that are covered within the FitBreak app include options relating to different exercises that can be handled during breaks at work as well as added tips for people to use when looking for ways to stay active and to do a little more while working. When this is done properly, it can be easier for people to get out there and do a little more with their bodies in general. The support that this new approach from Weight Watchers offers will be ideal for all people who are looking to lose weight. This helps people see what they can do to stay healthy and encourages them to get the most out of their bodies without any problems coming from what they can do when staying active.